For the last few years, social media has become an essential part of any marketing strategy. Simply put, it’s the best way to find new customers on a daily basis. Social media lets you reach out to millions of people from behind a computer desk. There are things like hashtags that let you ensure your posts are being seen by the right people. It improves brand awareness and makes more people notice your business. If you aren’t using social media, then that’s probably a big reason you’re struggling to find customers. Get on it, get interacting, and see the customers come flying in. You can use apps in a couple of ways to find more customers for your business. First, the obvious thing to do would be to advertise on mobile apps. Loads of people use them every day, it makes sense to get your business advertising through them. There’s a big chance of finding new customers, and you can tailor the ads to show to your target market. The second thing you can do is use apps like Swittch to share your products with people. You can add your product and then loads of people will be able to see it. Apps like this are great for finding customers and giving people a bit more information on what you have to offer. Trade shows are an excellent way to get out there and find some new customers. A trade show is a big event where businesses come together and show off their stuff. Everyone sets up exhibitions and booths to promote their products to the crowds. You’ll see thousands of people attending a trade show, and they usually last all day. It’s the perfect opportunity to try and hook some new people in, and tell them more about your business. The only way you’ll see success at a trade show is if you stand out and show that you’re better than the other people there. Then, you’ll get more customers. You have to be advertising your business in as many ways as possible. I could write a whole article on the best ways to do this, but for now, let’s focus on one method. The method I’m talking about is billboard advertising. This is where you get a big advert placed on billboards in your area. By doing this, you get your business out there and make people stand up and take notice. It gives you a great chance of finding some new customers and earning more cash. There’s always a way for you to get more customers, you just have to be a little clever. Never settle, more customers means more money. In turn, this means more profit and more success for your startup! 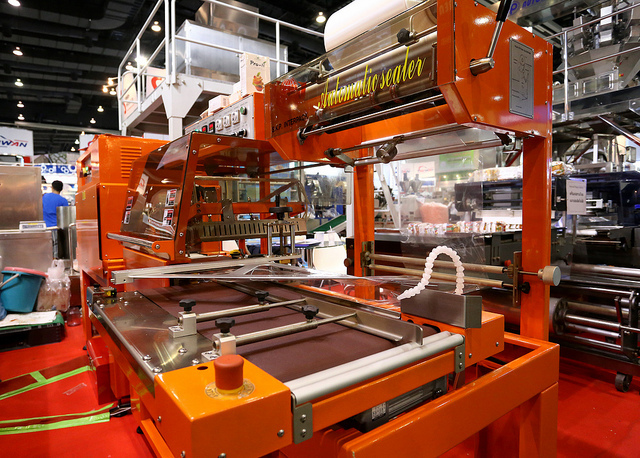 Would you like to start a new manufacturing business in 2016? Are you having a little trouble knowing where to start? Then you’ve come to the right place today. The article you’re reading at the moment will provide a brief guide to the processes you need to follow. We’ll show you how to design and create the right products before bringing them to the market. Of course, we can’t cover everything in this post, and so you must perform more research. Planning is the key to success in most situations you’re going to face in the coming months. If you want to design an original product people are going to love, you need to head to the drawing board. Take a look at the world around you and work out how it could be improved. Can you see someone struggling with issues you could resolve with a simple item? At the end of the day, your goal is to create something everyone will want to purchase because it makes their lives better. So, it could be a functional design they could use in their daily lives. Alternatively, you could think outside of the box and come up with something completely out of the ordinary. Just make sure you research the markets before spending too much cash. Once you are 100% certain your products are appealing to a mass market; it’s time to plan the manufacturing process. Take the time to write down each step and develop a strategy. That will help you to work out all the costs involved. Find out what you will need at every step, and choose the best option for your company. 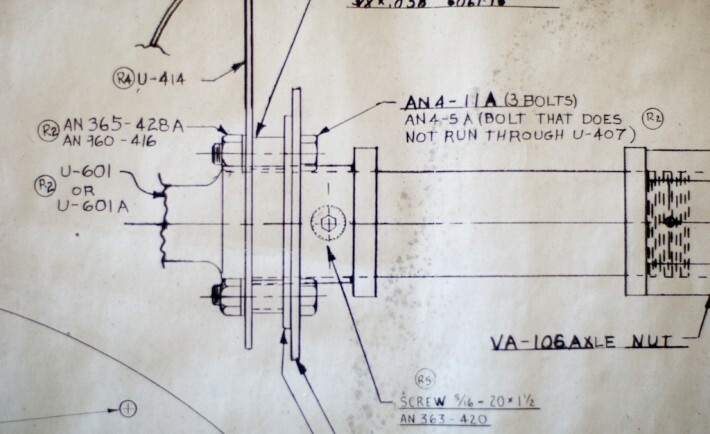 For instance, if you require a horizontal boring machine, will you need a table, floor or planer? Perhaps you’ll have to invest in a clay oven or sheet metal cutter to create your products? It’s important to know all that information during the early stages so you can create a budget. Far too many people bring new products to the marketplace without enough cash. When that happens, it’s likely you won’t achieve your projected sales goals. There is no getting away from the fact you will have to promote your products to make money. The issue is that most skilled manufacturers aren’t experts in marketing. So, you need to make an important decision right now. Are you going to handle the process yourself, or does it make sense to employ an agency? In most instances, we think using the services of marketing experts will help you to produce better results. However, we don’t want to sway your decision either way, and only you can make the right choice. It should become apparent that developing and selling unique products is not entirely straightforward. However, it’s something that anyone could achieve with the right ideas and motivations. So, don’t give up on the idea, and keep looking for the best concepts. When all’s said and done, starting a new business now could help to improve your quality of life in the future. The same goes for your children and members of your family. Make a start today, and your prospects could look a little more favorable next year. Daily deal sites are gaining more and more traction with savvy customers looking for the most bang for their buck. With millions of consumers using sites like Groupon and Living Social, many businesses are taking the plunge into the deal-a-day world. While there are many advantages to this marketing tactic, a poorly planned discount can have adverse effects on your business. Take a look at the inherent benefits and disadvantages using a daily deal site can have for your business and determine whether or not this strategy works for your individual aims. 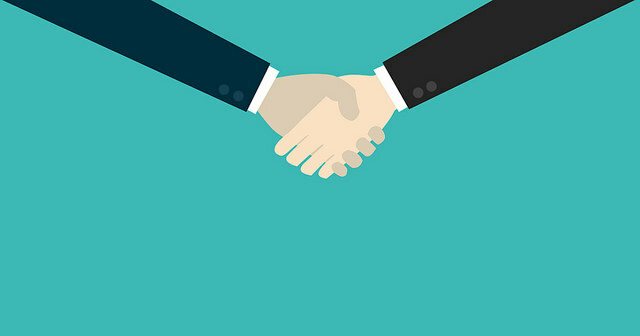 If used correctly, partnering with a daily deal site could mean huge profits for your company, as the advantages can be manipulated to further a company’s inventory movement, customer base, and demographic utilization. If you have slow-moving items or unutilized services, offering them at a discounted price on daily deal sites can see a surge in profits. If your aim is to move product in this way, offer your product on daily deal sites only occasionally for specific reasons. This is especially true for a low-cost or fixed cost expenditure business, as you’ll gain income without putting out more money. Groupon enables companies to expand their customer base and direct traffic to their business websites. Take Shari’s Berries, for example. This fruit and dessert company offers their product on Groupon with savings of up to 50 percent—an enticing bargain. About 80 percent of the daily deal clientele are first-time customers, meaning the company will see a higher amount of traffic on berries.com as these new consumers seek to cash in their deal purchases. By and large, the daily deal demographics include younger, smarter purchasers. Sixty-eight percent of Groupon users are between the ages of 18 and 34, largely female, and almost 80 percent have a bachelor’s degree. Understanding the faces and wants behind the Groupon interface (and other similar daily deal sites) means better chances of capturing your target audience. If you are seeking to get your product and company name into the hands and minds of younger consumers, then a daily deal site could be the answer. Sites like these can help your company bolster email campaign efforts. CanvasPop was able to further their specified business aims through Groupon sales. The photo-to-canvas conversion company chose to capitalize on email captures during their time spent on the deal site. In order to redeem the voucher, customers were required to input their email, an ingenious way to quickly grab consumer information. These recorded email addresses could later be used for designated email campaigns to further encourage customer retention. Choosing to offer your product on a daily deal site isn’t without its risks. Using a website like Groupon or Living Social can have negative consequences on your business aims. If you do choose to offer your product at a discount on one of these sites, you’ll need to be sparing with your promotional efforts and the frequency at which you offer these lowered prices. Price promotions can inadvertently hurt your brand name and identity by associating your products and services with cheap offerings. It can also make these customers price sensitive, leaving them less inclined to pay full price for your other products. Depending on the site you use, you’ll see a portion of your profits disappear. 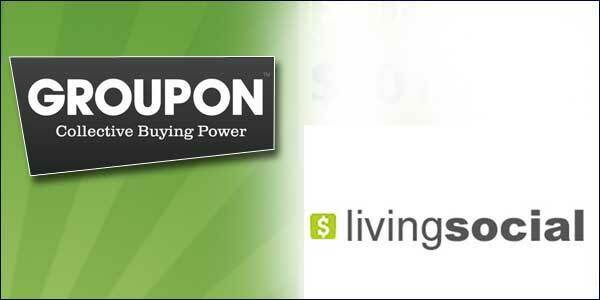 Groupon keeps 50 percent of the earnings from each deal, meaning you will have to gross margins in excess of 50 percent to make the promotion lucrative. Groupon isn’t known for its conversion rates, and many customers that try your product might not be so inclined to return, whether because it was a one-time item purchase they don’t need again, or based on the fact that they refuse to buy your product full price without a coupon. Only an estimated 19 percent of voucher redeemers become repeat visitors. If you are a small business and have built your business upon a foundation of personal relationships with loyal customers, then a Groupon could do you a disservice. When offering a discounted rate to new consumers, you’re devaluing the loyalty that has made you successful in the past. Plenty of local customers and suppliers. And a lot of skilled employees. So let’s talk through some of these now. You may even find you completely change your mind about where to start your business! With a population of just over a million, low unemployment, and a very good percentage of graduates, Salt Lake City is thriving. Particularly for tech businesses. The average home price is quite reasonable too, and the average income is slightly above the national average. One important aspect of this city is there’s a lot of investors in the area. In fact, over a billion dollars in venture capital was invested into businesses, in 2014 alone. Baltimore has a population of just under three million. And with a high average income, and a surprisingly low average home price, consider Baltimore for your next business. In fact, the area has quietly become a bit of a hub for education businesses. Or more precisely – for education technology businesses. Also known as “Ed-Tech”. There’s a population of one and half million and a low average home price here. 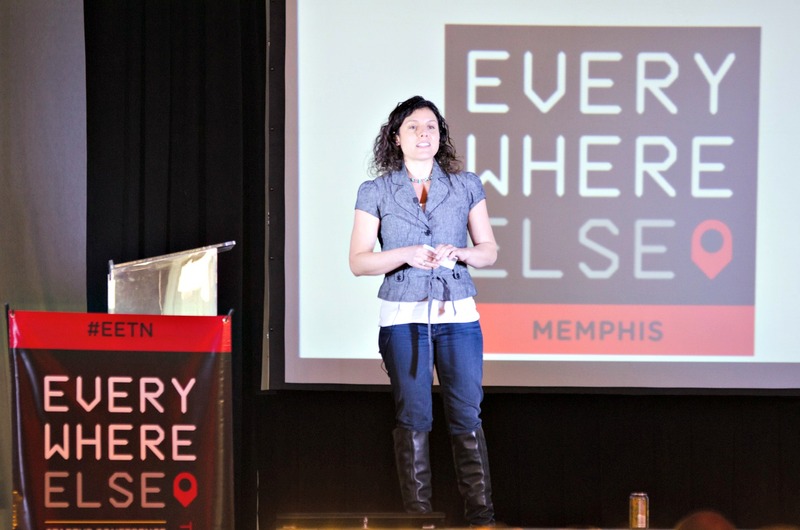 So why not consider Nashville for your next business? Okay, traditionally the city is famous for its musical roots. And that influence continues to this day. The city has in fact become somewhat of a phenomenon in the media industry. Visit the area and you may be surprised to see a new media or creative business launching each day! And in Nashville, and all the other cities listed, office space can be found inexpensively, if you look. Consider shared or temporary offices like Level Office to get a great working environment quickly. This city has a population of just over two million, a reasonably high home price, and an average household income. Unemployment however is surprisingly high (compared to some cities listed here) at 6%. First of all, it’s worth noting that this area is very much farming focused. It used to be jokingly known as Cow Town for decades (for obvious reasons). And that focus on agriculture remains. In particular (even with California’s recent drought) there is a focus on growing almonds. They require a huge amount of water to grow, but they generate a very high revenue per acre compared to many other crops. So food and agriculture businesses are a natural fit here. But that said, there’s also some high tech start ups growing in the area. Especially technology startups focused on the agricultural market. The City of Angels isn’t just about Hollywood (even though every waiter is of course an undiscovered star). With a huge population of 13 million, and a high proportion of graduates, this city has many other thriving industries. One in particular is apparel. And surprisingly, when it comes to fashion, LA is even beating New York. One reason for this is when compared to the Big Apple, businesses can rent more space for far less money. In fact, more than a third of US apparel and textile jobs are in LA. Plus, it even has its own fashion district with factories and wholesalers galore. This morning the Southland Conference in Nashville, TN kicked off with a bang. Former Vice President Al Gore joined Pando CEO Sarah Lacey on stage, starting the morning right with local Belle Meade bourbon. It didn’t take too long, though, to start talking politics. When asked about the NSA, the former Vice President got fired up. “You don’t find a needle in a haystack by bringin’ in more hay!” he said, moving to the end of seat to emphasize his point. He also pointed out that as scary as government surveillance is, corporate surveillance is even scarier. He called out Google in particular, which is interesting considering his position as a senior adviser to the search giant. He went on to talk about how Snowden broke laws to reveal what he did, but the actions he exposed were so much worse that they justified the civil disobedience. There’s a ton more to come at Southland. Follow us on Twitter to keep up with all goings on in Nashville. The second annual Southland Conference kicks off in less than a month, June 9, in Nashville. We reported in October that Sarah Lacy and PandoDaily were teaming up with LaunchTN to produce this installment of Southland. After a trip to Nashville for last year’s conference, Lacy was positive Pando needed to be involved with Southland going forward. “I’ve always known that designing the next three day tech conference would inevitably be a big part of our business,” she said in a post announcing the partnership. The schedule looks mostly like an interviewing bonanza for Lacy. The “speakers” will all sit down for onstage interviews with the PandoMedia CEO, a format she’s perfected during the PandoMonthly series. You can imagine the questions for Al Gore. Perhaps something along the lines of green energy investments and Kleiner Perkins? Southland isn’t only about Sarah Lacy grilling top tech talent, though. Each day will also include “Salon Sessions,” smaller gatherings that allow attendees to ask questions of the speakers. And, of course, the Southern flair that made Southland a great event last year: whiskey tastings, Southland Village, a makers’ area, and nightly concerts from artists like J Roddy Walston and the Business. Nick and I will be in Nashville for the big event, and LaunchTN and PandoMedia are offering Nibletz readers a deep discount on tickets to the conference. You can get your tickets at the Southland website and use the promo code SL-NIBLETZ to knock $1000 off the price. There has been a slew of media attention in the last few years on the question of whether or not we’re seeing the next tech bubble. 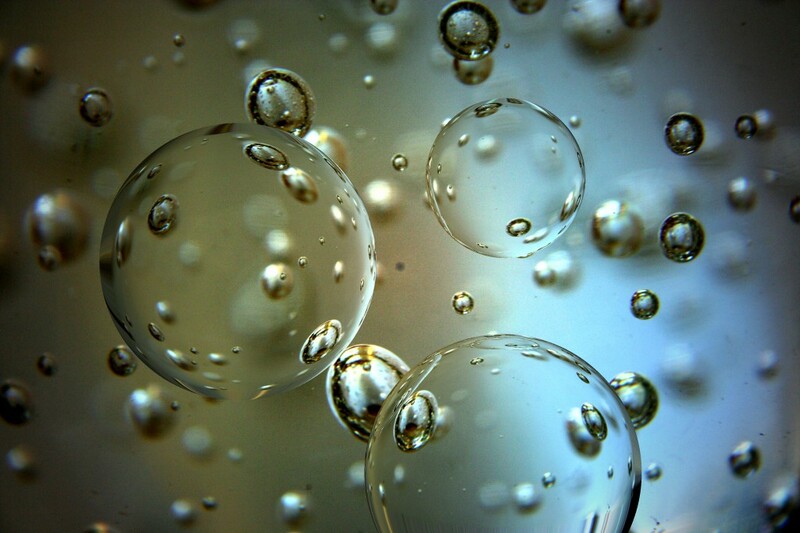 Data firm CB Insights insists that we are not in a bubble. And yet, they’ve published 10 charts that prove otherwise. Then, last week Fortune editor Adam Lashinsky compared the current atmosphere to 1999–and definitely saw the connection. His evidence doesn’t come from IPO valuations or amount of VC doled out in Q1. Nope, he points to things like social invitations to showcase the potential for a bubble. Maybe not the most scientific, but still an interesting way to look at it. This isn’t new, either. During the last bubble — when I was younger and had fewer responsibilities outside of work — I pretty much stopped going to tech-related dinners because they were all the same. The stories were the same. The people were the same. The restaurants? The same. After the bubble popped, the invitations slowed down dramatically. It was a relief. For every pundit that cries “bubble!” at least one other insists we aren’t seeing one–yet anyway. Over at Quartz there are still more charts, these pointing out why we shouldn’t worry just yet. In my opinion, there’s nothing broad-based that’s happening. There’s no bubble, per se. Bubbles are a very specific phenomenon where you’ve got mass psychology and you’ve got every mom and pop investor and every cabdriver and every shoe-shine boy buying stock in whatever it is—going all the way back to the South Sea Bubble all the way through to the dot-com bubble. There’s nothing like that. We’re talking about a fairly small number of companies. And then, we’re talking almost entirely on the private side. It hasn’t really affected the public market that much. And then there are the folks who want to play it safe. Analytics firm Mattermark recently published a post looking at the IPO trends and comparing them with the 90s. Their take on a bubble? Also in January, Bill Gurley cautioned that while we might be in a bubble, we shouldn’t get too concerned just yet. Even though things were frothy enough that the head of the federal reserve felt the need to talk down the market, the top was in fact many, many years away. And the venture capital firms that pulled back in 1996 missed the best three years of return in the history of venture capital industry. All of which makes predicting market tops a delicately tricky business. Because companies do survive bubbles. Google and Amazon both pulled through the last one, and whenever the cycle goes down again, there will be companies that emerge strong. How can yours be one of them? Secure profits–Companies that survive bubbles are the ones with the most cash reserves. This is good news for startups everywhere else, because companies outside Silicon Valley are used to maximizing for profit. Focus–If you’re solving real problems and seeking out revenues, you stand a good chance of surviving a down cycle. The other key ingredient is to focus on your core values, but be willing to adapt to the times and data. Amazon, Ebay, and Netflix all survived crashes by insisting on solving their customers’ core problems. Flurry, a mobile metrics and advertising network, has released some very interesting data about the mobile landscape. The rapid adoption of smartphones has correlated to a lot of predictions about human behavior, but Flurry has been able to tell a story based on data about what is really going on worldwide. Flurry noticed that “mobile addicts” have increased and, the segment growing the fasts is very interesting. A “mobile addict” is classified as a smartphone user that checks apps 60 times or more a day, a group that has grown by 123% from 2012 from 79 million to 176 million. Simon Khalaf, CEO of Flurry, during his keynote at Source14 stated this makes the smartphone a ‘wearable’ in regards to the phone being with us all the time like a wallet or watch. The interesting thing is that Flurry also realized that females make up more of the mobile addicts” than males. Female and male users aged 18-24 and 35-54 have the highest concentration of “mobile addicts”. TL;DR: Things that I personally found interesting from the presentation. Between 2012-2013 there has been a 316% growth in messaging apps. 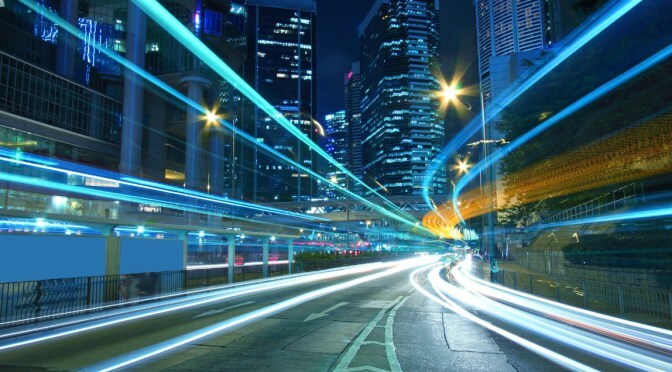 It’s creating overnight Telco companies without the cost. Mobile commerce grew 60% in the US from $20.5mil in 2012 to $33mil in 2013. Mobile travel and logistics revenue grew at 168% from 2011 to 2013. Mobile has absorbed all users in social platforms. Example is 98% for Instagram. Paid audio streaming hit $1 billion in revenue. Mobile has disrupted it’s own industry. Instead of downloading music to put on our phones like the past, we are now paying to stream it. The web is definitely alive, but apps have taken control. The browser inside Facebook app is the most used browser. China has 330mil unique active devices each month. The United States has 285mil. The US is losing its lead in software development. It is now 34% in the US and 66% for the rest of the world. Last year 0% of the time spent in apps made by China in the UK, now it is 16%. Sports fans, gamers, parenting & education , and moms are the typical female “mobile addicts”. Mobile gaming is only 14% of the total gaming market. Console is still king at 47%. 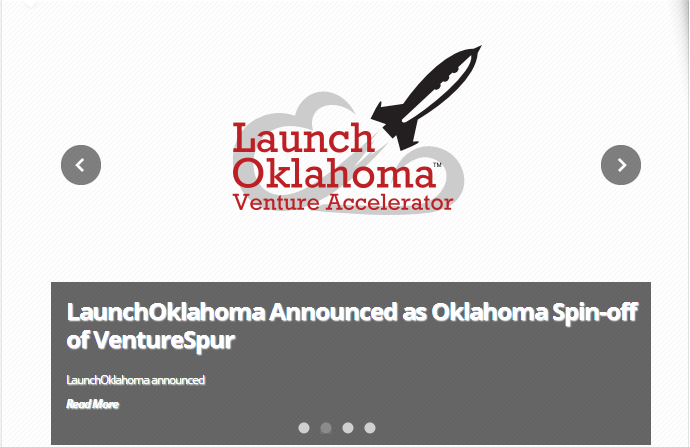 Earlier this week Dallas-based VentureSpur accelerator annouced LaunchOklahoma, as a dedicated Oklahoma accelerator. VentureSpur accelerator has launched 11 high-tech startups in the last two years, all of which are continuing to grow and 4 of which have raised more than $1.7M on multi-million dollar valuations. LaunchOklahoma retains VentureSpur’s Managing Director, Kraettli L. Epperson, who is joined by prior VentureSpur board members Gabe Bass and Mike Whitaker on the LaunchOklahoma board of directors. The VentureSpur accelerator will continue in Dallas as VentureSpur Texas, and will be operated by VC fund Trailblazer Capital, with a focus on mobility and technology for restaurants, retail and hospitality. Dallas is a major hub for national restaurant, retail and hospitality headquarters and more than half of Trailblazer Capital’s portfolio is in these areas, creating great opportunity for an industry-focused accelerator. As a spinoff, LaunchOklahoma will be focused on recruiting tech startups in Oklahoma. LaunchOklahoma is currently reviewing all startup applications not related to VentureSpur Texas’ focus area and will be making program admissions on the announced 2014 schedule. The program will include a Pitch Day in October, at which participating startups will have an opportunity to pitch their company to potential investors and clients. The accelerator is targeting 3 to 4 companies for 2014, in line with prior years’ programs in Oklahoma. “Our mentors, sponsors and investor network are happy to see a new effort dedicated to Oklahoma. There is a smaller local capital market in Oklahoma, but we have great entrepreneurs and startups. A lot of our focus will be on supporting the innovators here with outreach to our national capital networks while also developing crowdfunding strategies. Startup investment is rapidly democratizing and crowdfunding is quickly becoming the most accessible source of early-stage seed funding. 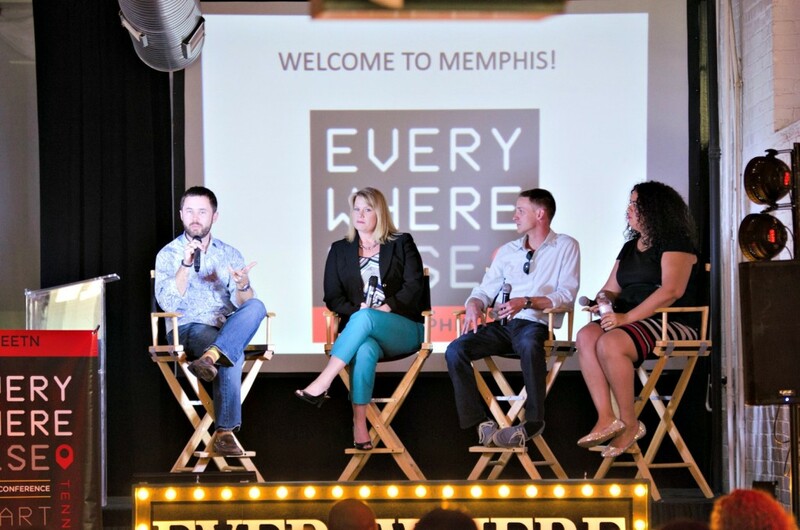 Our acceleration strategy will be geared towards those new opportunities,” said Epperson. LaunchOklahoma will also serve as a testing ground for new technologies including a mobile app dedicated to managing the intensive coordination, networking, scheduling and especially the accountability required for acceleration success. The accelerator also plans a future presence in other cities in the state. For more information visit www.LaunchOklahoma.com or follow www.Twitter.com/LaunchOklahoma on Twitter. Entrepreneurship is entrepreneurship, right? Wrong. Sure, no matter where you are, you have to have an idea, get some money for it, and grind it out. But what that looks like is different from region to region. Different investors and different amounts of money require different strategies from startups trying to get their businesses off the ground. The South provides a particularly interesting case of this. There’s less capital available to startups, and what is available is pretty conservative money. As a result, startups can’t afford to spend 8 years building a user base before earning a profit. So how do companies survive and thrive in an environment with scarce resources? It all starts with a business plan built with the knowledge that capital is scarce, and you can’t rely on million dollar seed rounds. It’s not enough to have an idea; founders must build on that to create a strong, viable plan to get profitability, not just ubiquity. Usually, this comes from iterating on a scaleable minimum viable product as quickly as possible to provide value from the start, placing the company in excellent position to capitalize on early revenue potential. Such a plan involves pivot points with opportunities to fail early and iterate in order to succeed. We call this Southern style of entrepreneurship the Jumpstart Way. It leads to fundamentally sound businesses, and gives founders the opportunity to own more of their company if it succeeds. ChangeHealthcare provides an excellent example of the Jumpstart Way. ChangeHealthcare, a Nashville company, provides price transparency services to consumers and employers in order to reduce healthcare costs. Castlight Health in San Francisco provides similar services. ChangeHealthcare raised 1 million dollars to start and immediately built the first version of their product, working in close collaboration with the healthcare companies that would be its ideal users. Adjusting as they went, they were able to build a truly valuable minimum viable product from the start. This visible progress from the outset and the promise of early revenue traction was enough to convince angels to invest another 3 million in the company. In contrast Castlight Health raised 20 million dollars in their first round and built a user base first, and a board of directors shortly after. By now, both companies have products on the market, but ChangeHealthcare is losing significantly less money on comparable levels of revenue. This is not to disparage entrepreneurship on the West Coast; we love and admire the grit and grind it takes to get a company off the ground, no matter where it is. The South just happens to need a minimum viable product earlier, and a plan has to be in place to accelerate that as a priority. You have to take what you can get and make something great from it. Isn’t that what entrepreneurship is about? 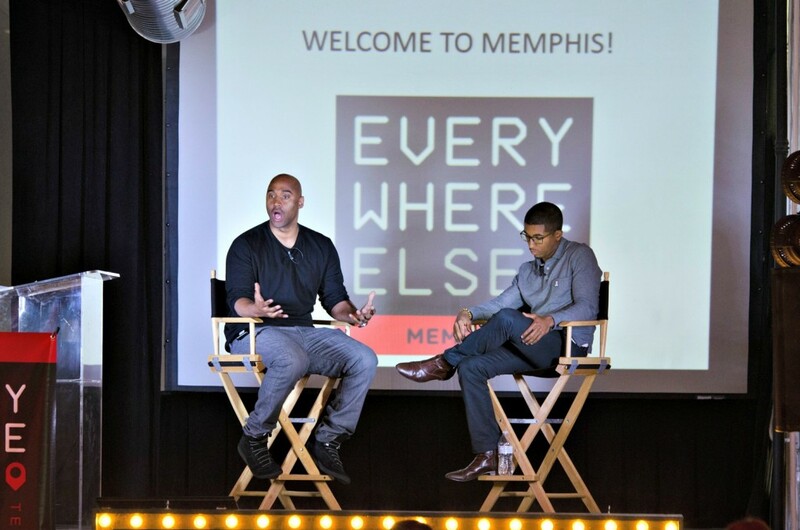 Chris Poole is a managing director at Jumpstart Foundry, a Nashville-based accelerator. Jumpstart Foundry is the southeast’s premier accelerator and exists to empower innovators in the South to succeed in creating products, jobs, wealth & economic growth for themselves and the region. Find out more about Jumpstart Foundry at jsf.co. 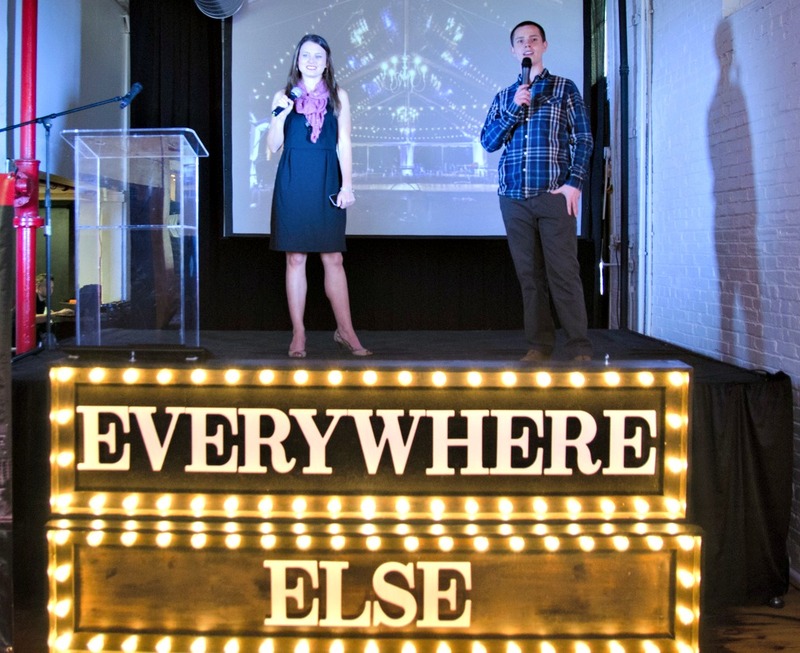 NMotion announced the seven startups accepted into the 2014 Summer program last week. Four of the teams are from Lincoln, where the accelerator is based. The other 3 will be moving to Lincoln to participate in the program. “We’re excited about working with this group of strong and diverse founders. Applications were up 80% from the previous year and included applications from all over the world, so it was tough making the final cut.” said Brian Ardinger, managing director of NMotion. Because of Lincoln’s growing list of sports-related startups and mentors, including Hudl, opendorse, Lockr, EliteForm, Hail Varsity, Bulu Box, Powderhook and others, NMotion actively targeted sports-focused startups to bring into the program. “We think density is important in a growing startup community since it allows for greater collaboration and connections. At NMotion we wanted to actively look for ways to capitalize on our community’s strengths and build on them,” Ardinger said. 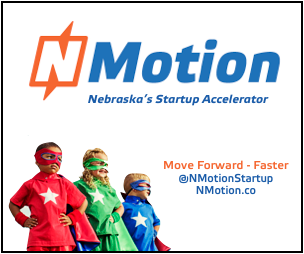 NMotion’s 2014 cohort also includes startups in agriculture, music, and digital marketing. Like other accelerators, NMotion startups receive seed capital, coworking space, and access to a pool of resources including over 100 mentors, training, and developer and designer talent. This year’s program starts on June 2, and each startup will use the 100 days of the program to work with teams and mentors to test and validate the market, build and prototype their solutions, and prepare for a demo day showcase to be held on September 9th at Nebraska Innovation Campus in Lincoln. Companies also receive $15,000 of seed capital in exchange for a six percent equity stake. This funding was provided by Invest Nebraska Corporation along with members of the Nebraska Angels organization and individual accredited investors. Program sponsors include the Lincoln Partnership for Economic Development, Union Bank and Trust, NUtech Ventures, Nebraska Innovation Campus, and the University of Nebraska along with many other companies and organizations. 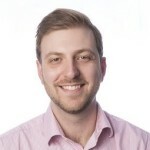 Adolade – Location-based mobile rewards platform: Ryan Cooper, founder of Golf Status, is creating a location-based rewards company that helps app and device makers monetize their users’ moments of achievement, loyalty, and influence. Athletepreneur – Online network & marketplace for athletes: Co-founder Mike Fingado is coming from Seattle and his co-founder Brian Dzingai, who is a former Olympian from Zimbabwe, will be coming from Chicago. They are building a professional network and lifestyle brand for collegiate and professional athletes. Commissioner.io – Sports league management platform: Kunwar Gill and Richard Bansal are coming from Toronto, Canada and are working on a sports league management platform for recreational leagues and their players. DigiWidgets – Plug-in graphic editing engine for websites: Fresh from their win at the JumpStart Challenge, Lincoln entrepreneurs Stacy Carlson (Gotta Pixel) and Carl Steffen (Stone Fin Development) formed DigiWidgets as a plug-in graphic editing engine for websites that empowers users to create, manipulate and sell digital media. 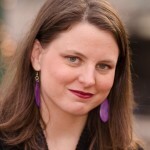 MusicSpoke – Music publishing platform & marketplace for composers: The Lincoln startup MusicSpoke founded by Jennifer Rosenblatt and Kurt Knecht is a cloud-based platform where composers, conductors, and performers can connect and share new sheet music and performances. PixoBot – Software platform for robotics in agriculture: Vishal Singh heads up Pixobot, a software platform utilizing drones and data to improve agricultural efficiency. Chances are good that you won’t ever win the World Series. But, our friends at Your Green Pal realized that developing a tech startup from idea to IPO is a lot like training for the World Series. First, you have an idea. Or, in baseball terminology, you start t-ball. At the beginning it’s all new and exciting, and you have lots of time to learn and figure things out. As you grow, you progress things get more intense and difficult, but also more rewarding. High school and college baseball look almost nothing like t-ball. By the time you get to the beta stage of your startup, it’s probably looking very different from the initial idea. But you should also be better. After beta, you can move on to market fit, and it’s time for the growth. First the farm leagues, then the majors, and finally, the World Series. An IPO may or may not have all the fanfare of the World Series, but for the entrepreneur reaching that goal, it sure feels the same. Check out the infographic below to see how much your startup journey is like winning the World Series.